This flag waves endlessly in the wind, this video loop adds patriotism to your video shows. A great video loop to add to your media library. 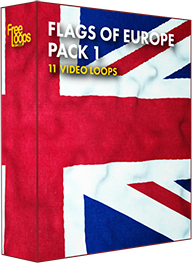 This video loop is part of Flags of Europe Pack 1.